최고의 현역 및 은퇴 MLB®선수들로 구성되며 모든 카드에 직접 싸인한 온카드 오토그랩 카드로 등장합니다. 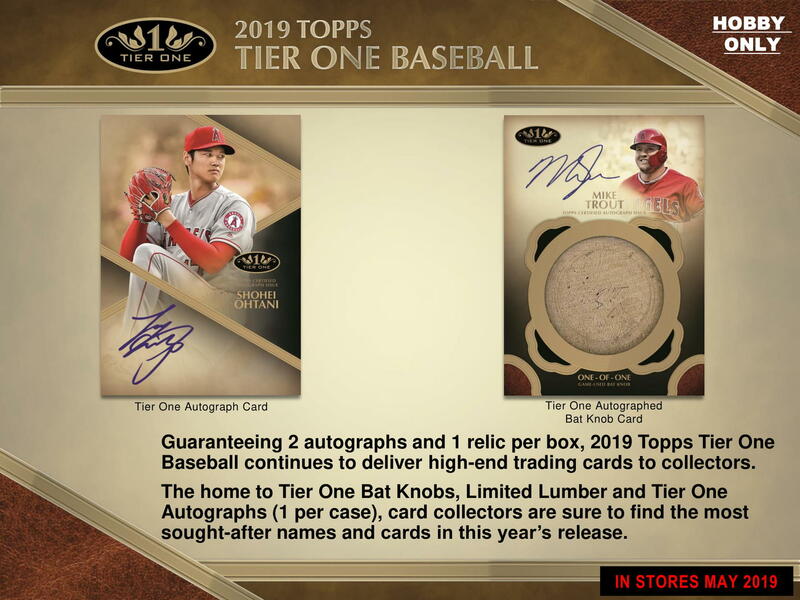 Tier One Autographs 1 per case! Highlighting the greatest MLB® players, past and present. All cards are signed on card and sequentially numbered. 탑스의 독보적인 클리어원 테크놀로지로 제작 된 2경기가 페어된 카드 입니다. Pairing two of the game’s greats on Clear One technology. All cards are signed on card and sequentially numbered to 10 or less. 리그에서 가장 핫한 젊은 슈퍼스타 및 향후 폭발적인 포텐을 터트릴 것으로 예상되는 선수들이 직접 카드에 싸인한 카드로 299장 이하로 발매됩니다. Highlighting the hottest young superstars and players who have the potential to break out in a big way. All cards are signed on card and sequentially numbered to 299 or less. 매우 레어한 클리어 아세테이트 재질의 카드에 다양한 루키/베테랑/은퇴선수들의 직필싸인이 들어간 카드로 10장이하의 매우 낮은 한정수로 발행됩니다. 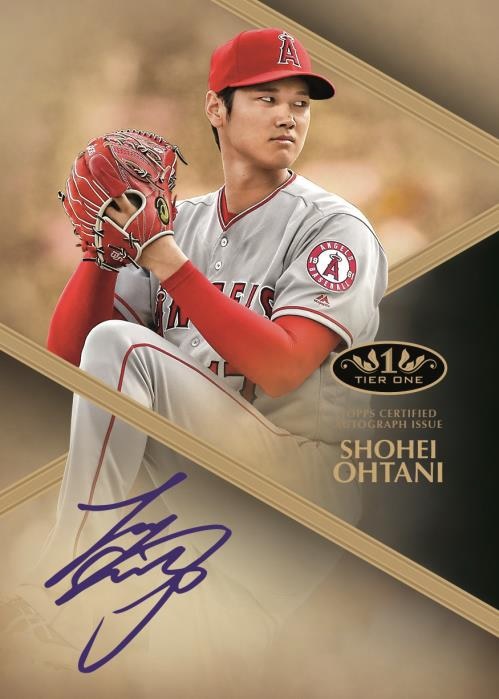 Showcasing the most collectible rookie, veteran, and retired players on rare clear acetate cards with on-card autographs. All cards are sequentially numbered to 10 or less. 빅타임 플레이어들의 현재와 미래가 담긴 299장 이하의 한정 카드입니다. Highlighting big-time players of today and throughout the years. Cards are sequentially numbered to 299 or less. 파워/스피드/타율/수비/투구 등의 특별한 능력을 가진 엘리트 플레이어로 구성 된 (299장/25장/10장/1장 한정판) 싸인카드입니다. Highlighting players of today and the past withan elite skill such as power, speed, batting average, fielding ability, or pitching prowess. 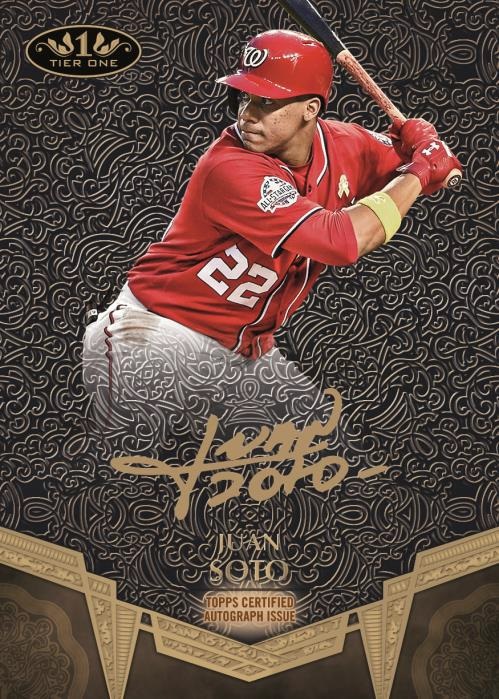 Featuring on-card autographs, sequentially numbered to 299 or less. 총 20종으로 구성 된 한장에 2명의 선수싸인이 들어간 25장 한정판 싸인카드입니다. Up to 20 pairings. On-card signatures, sequentially numbered to 25 or less. 총 10종으로 구성 된 한장에 3명의 선수싸인이 들어간 10장 한정판 싸인카드입니다. Up to 10 combinations. On-card signatures, sequentially numbered to 10 or less. MLB 역사 상 최고의 선수들이 과거한 싸인이 삽입된 카드 입니다. 1-of-1 cards containing a vintage cut signature from one of the game’s all-time greats. MLB®최고의 현역 및 은퇴선수의 싸인 및 그들의 실착 용품 조각이 삽입 된 카드로 100장 이하로 한정 발행됩니다. Highlighting the greatest MLB® players, past and present. Sequentially numbered to 100 or less. MLB®최고의 현역선수의 싸인 및 그들 경기에서 실재 착용한 용품 조각이 삽입 된 카드로 패치가 삽입 된 카드의 경우 종류별 1장 한정 발행됩니다. 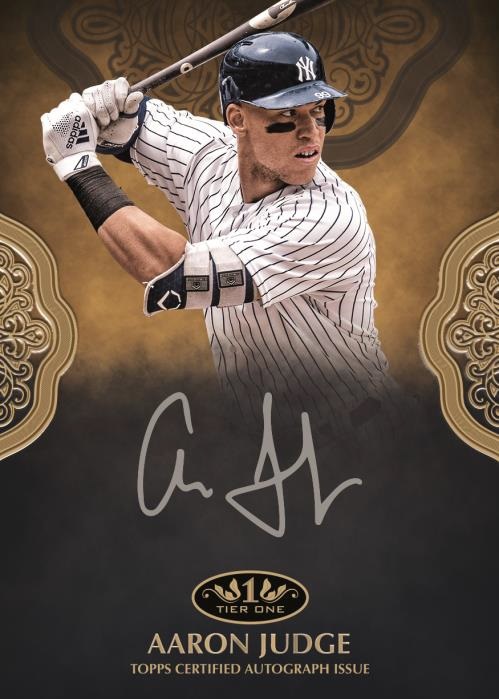 Book cards of some of the best active players in MLB®. Cards will contain autographs and game-used jersey pieces. MLB®최고의 현역선수의 점보싸이즈 경기 실착 패치 조각과 선수의 친필싸인이 포함 된 카드입니다. 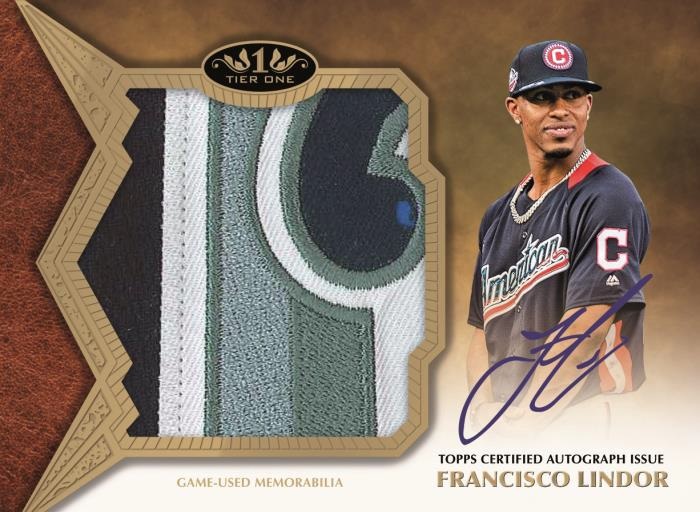 Up to 50 cards showcasing the the top tier of current baseball talent, on cards that feature jumbo-sized game-worn jersey patch pieces and player autographs. Sequentially numbered to 10 or less. MLB®최고의 현역 및 은퇴 선수가 사용 한 베트의 밑단 부분이 삽입 된 싸인카드로 선수별 단 1장만 발매됩니다. Up to 50 game-used bat knobs are paired with on-card autographs. All cards are 1-of-1. MLB®최고의 현역선수 및 은퇴 선수가 실재 사용한 베트의 이름 각인 부분이 삽입 된 싸인카드로 선수별 단 1장만 발행됩니다. 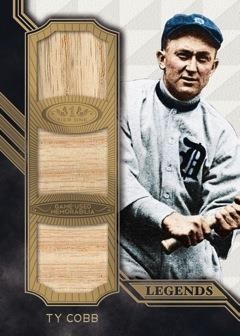 On-card autographs and unique game-used bat pieces share a card highlighting one of the greats of MLB ®. All cards are 1-of-1. MLB®최고의 현역선수 및 은퇴 선수가 싸인에 사용한 팬이 삽입 된 선수별 1장 한정의 카드입니다. Containing a piece of the pen used to sign the card, these cards are truly one of a kind. Numbered 1-of-1. MLB®최고의 현역선수 및 은퇴 선수가 사용한 용품의 조각과 과거 싸인한 종이가 삽입 된 1장 한정의 카드입니다. Up to 25 cards combining game-used relics and a vintage cut signature. Numbered 1-of-1. MLB®최고의 현역선수 및 은퇴 선수의 실재 사용한 용품이 삽입 된 카드입니다. Highlighting players alongside game-used relic pieces. Sequentially numbered. MLB®최고의 현역선수 및 은퇴 선수의 실재 착용한 유니폼의 단추가 삽입 된 5장 이하의 한정 발행 카드입니다. Modern-day stars and all-time greats are celebrated on cards that contain rare relic swatches that contain buttons from jerseys and pants. Sequentially numbered to 5 or less. Up to 20 of the best to play the game are highlighted with cards containing game-used memorabilia. Sequentially numbered. 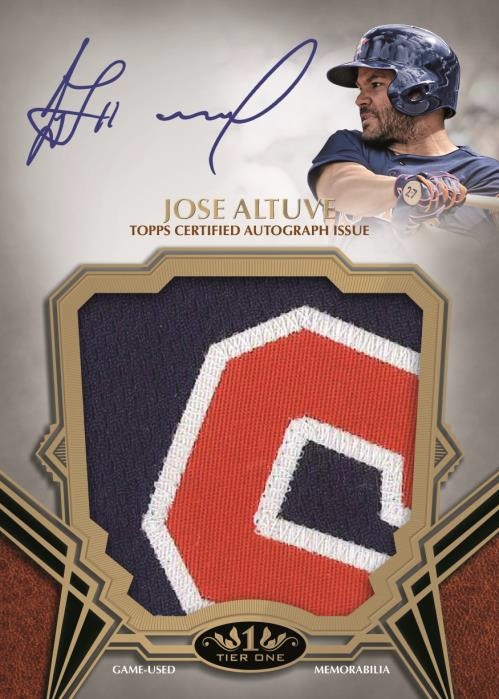 Up to 50 subjects showcasing the current veterans, rookies, and future stars of MLB ® with jumbo-sized jersey patchpieces. Sequentially numbered to 10. MLB®최고의 현역선수 및 은퇴 선수의 유니크한 베트에 음각 된 이름 부분 조각이 삽입 된 1장 한정 발행 카드입니다. Unique game-used bat pieces are featured. All are numbered 1-of-1. MLB® 올스타게임®의 스타들이 실재 착용한 점보 사이즈의 패치 조각이 삽입 된 카드입니다. 싸인 카드의 경우 1장 한정으로 발행됩니다. Stars from the 2018 MLB ® All-Star Game ® will be celebrated with cards containing a unique jumbo-sized patch piece from their 2018 workout jersey. All are numbered 1-of-1. 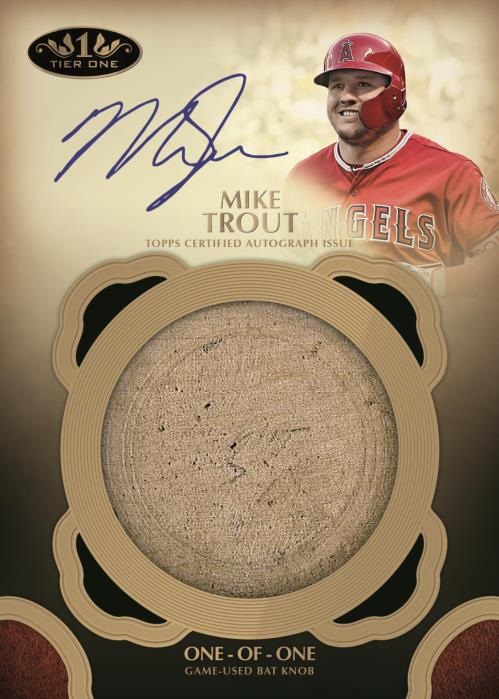 • Autograph Parallel #’d 1-of-1 NEW! MLB® 올스타게임®의 100명 이상의 MLB® 엘리스 선수들이 게임에 실제 사용 된 베트의 하단 부분이 포함 된 1장 한정의 카드입니다. Up to 100 game-used bat knobs are on display from some of the MLB® elite. All are numbered 1 of 1.